Before the plough hits the soil. 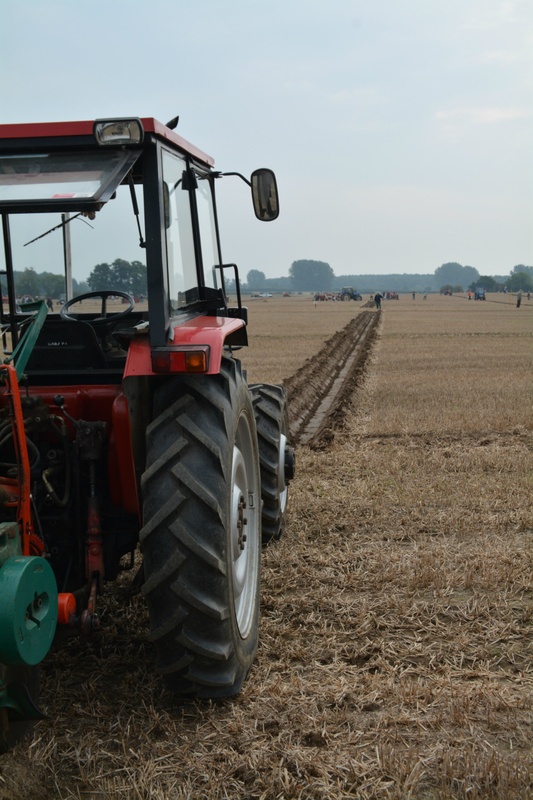 Starting the ploughing. 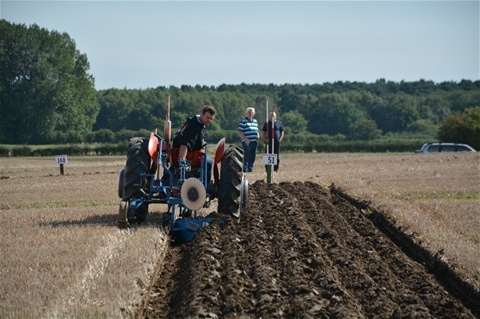 First of all the ploughman sets his furrow marks by lining up his marker rods in line with each other as accurately as possible. He/she can now drive the tractor keeping it in line with the marker posts. At the start the ploughman ploughs a furrow in one direction (by driving towards each marker rod in turn), turns around and comes back with 1 or 2 furrows in the opposite direction. 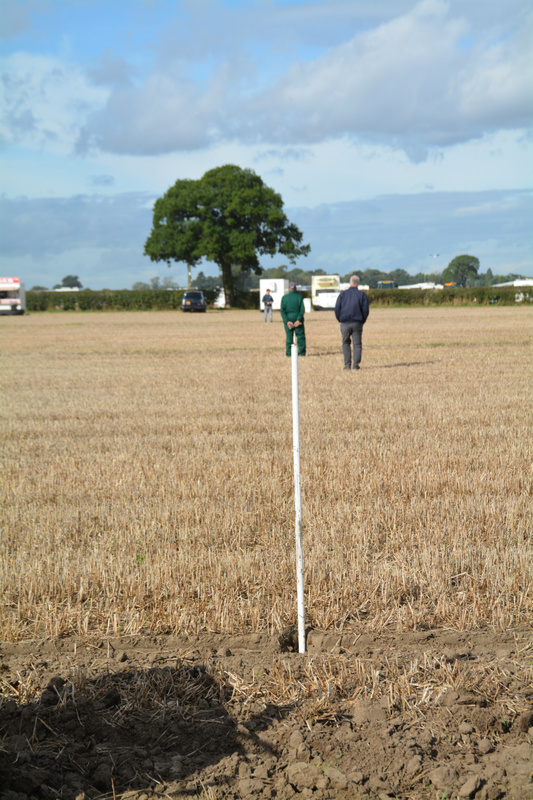 This opens up a mini trench (THE OPENING SPLIT) and ensures there is no unploughed land left under the soil. The opening split is then judged. The crown. The split furrows are then carefully ploughed back into the trench so that the furrows of the resulting CROWN nestle against each other uniformly with no stubble, trash or vegetation showing. Five or six furrows are then ploughed on either side of the crown and this segment of work is judged. The Middle bit. 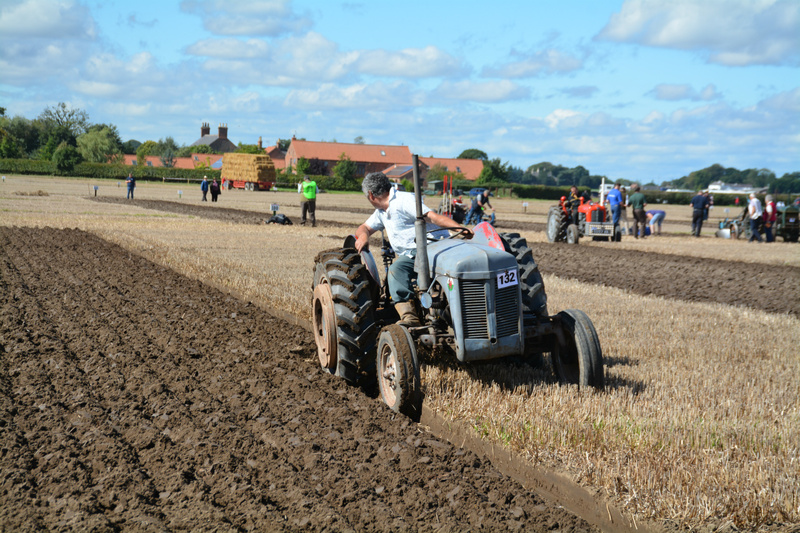 Each ploughman then ploughs up one side of his start and returns down the near side of his neighbours start. 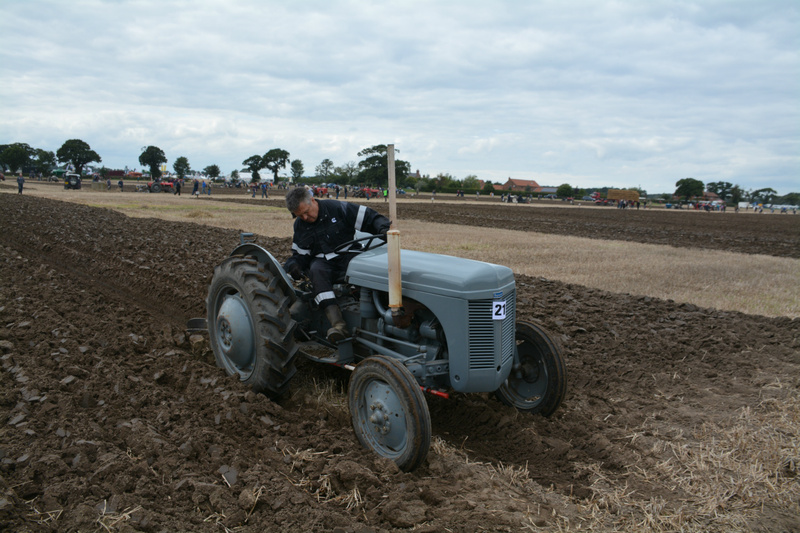 While ploughing the unploughed land in the middle he has to make sure that the furrows are straight and parallel and conform to all the rules. 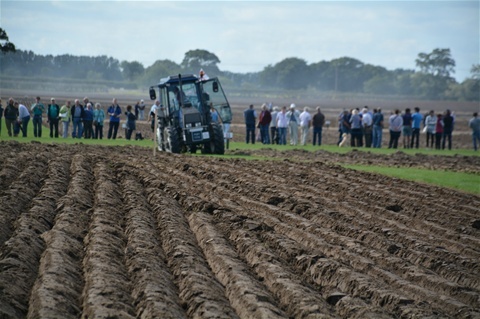 The plough man will frequently get off his tractor to alter the plough settings and measure accurately the distances left to plough. The Finish. The finish should be inch perfect. With a 2 furrow plough, the ploughman often calculate and adjust their ploughing to leave 3 unploughed furrow widths. In his penultimate run the ploughman often sets the second of the 2 mouldboards on the plough to about one third to one half the depth so that on his final run he ploughs the one remaining furrow and re-ploughs deeper the shallow furrow, ideally to leave a narrow trench, neatly cut and cleaned out with the finished work as level as possible. The work is judged again. Reversible Ploughs. 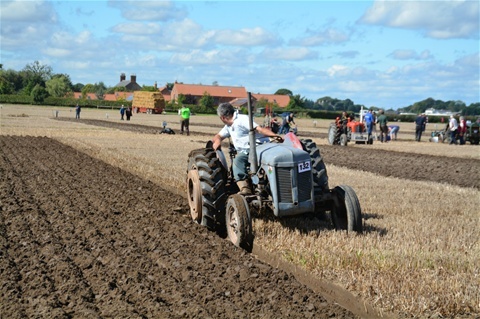 In one way ploughing, done by reversible ploughs, each competitor has a wedge shaped plot to plough. 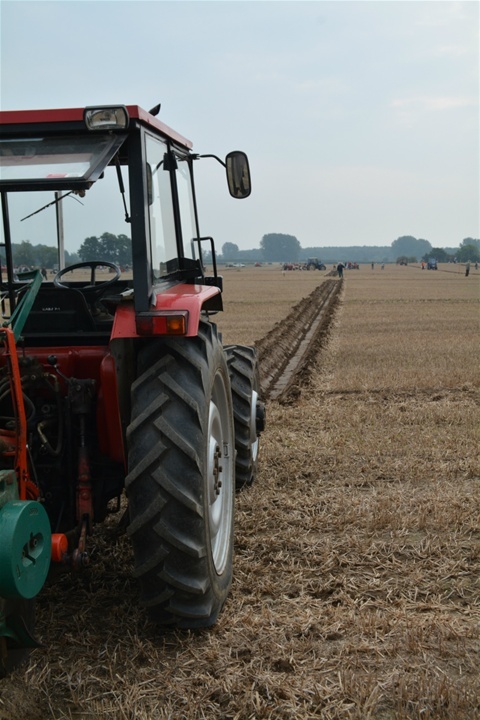 One way ploughing has an extra aspect to deal with called BUTTS which are runs across the field of gradually shortening length at an angle across the plot which then have to be joined up by the straight ploughing.